Many successful folks talk about perspective and the virtues of a positive attitude. The Olympic gold medalist Scott Hamilton once said..." the only disability in life is a bad attitude " and I have often used that quote in my classroom and on the field to set up a discussion about effort and mindset in times of adversity. As a football coach, I often draw attention to other coaches to highlight essential life observations. Coach Holtz once expounded the notion that "life is ten percent what happens to you and ninety percent how you respond to it"...I can attest to witnessing this phenomenon on the football field, track, and in the classroom. I came across two different poems that illustrate the concept of perspective. The following two poems were written by a talented young girl named Chanie Gorkin...at the time she was an 11th grader in NY...she has a real talent for exposing the differences in perspective. The first poem is written with a negative outlook and the second one is written with a positive outlook. Take the time to read both poems carefully and look for what both poems have in common with eachother...think perspective. I wanted to point out that one trait that all successful leaders share is their ability to see desperate situations in a positive light while displaying confidence. Before you read the positive perspective poem, take a quick look at this quote by Kim Orlesky...She is an entrepreneur that once remarked that "to be successful, your focus has to be so intense that others might think you're crazy". Finding the positive perspective in the darkest of times is not easy...when you are seeing solutions to problems while others are still focusing on the negatives...I can assure you that you are on the right track. After reading the two poems...there is no doubt the view of our world can be seen in very different ways. Now do me a favor and reread Poem #1 from another perspective...this time from the bottom to the top...it is only then that you realize that both poems are one in the same. 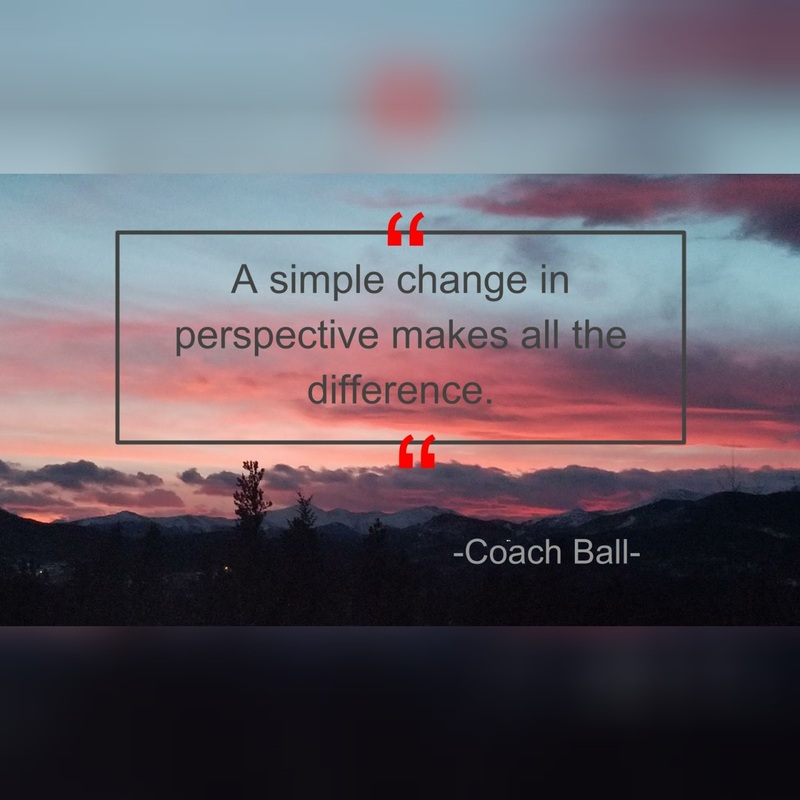 It is funny how a simple change in perspective makes all the difference. Leaders lead through times of adversity with the proper perspective. Keep a positive attitude about your day or situation...it will give you a much better chance at success in the long run.